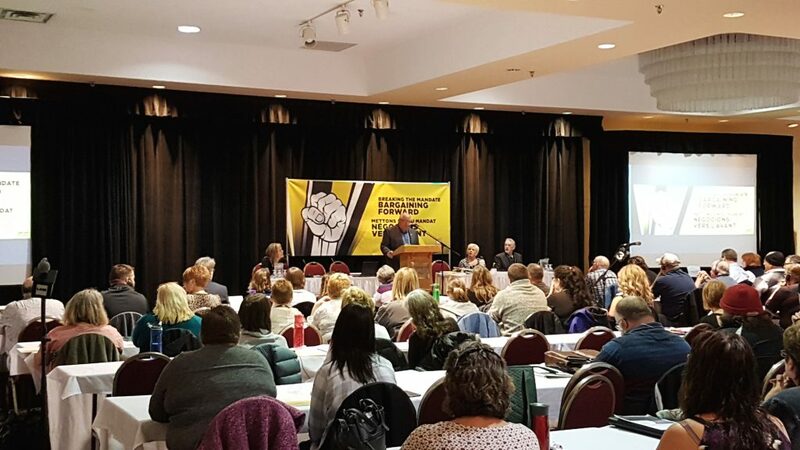 This Thursday and Friday, close to 300 public employees and elected union leaders from all sectors have met at a bargaining conference called “Breaking the Mandate – Bargaining Forward”. The aim of the conference was clear : CUPE locals will coordinate their bargaining efforts and prepare for mass action to obtain better wages. “For years, provincial government has tried to hold a mandate of wage restraint that has set our members back. We are hosting this conference to align our forces to fight for wages at the bargaining tables. 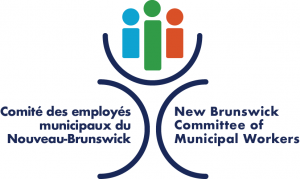 It has become the number one priority for most, because overall, workers’ pay has not followed cost of living increases for the last 10 years,” said Daniel Légère, President of CUPE NB. Previous negations with public sector unions have been marked two consecutive wage restraint mandates, meaning weak or no wage increases: 0% and 1% were the norm. “When you look at inflation adjusted wages, most public sector workers have an equal or weaker purchasing power from what they had 10 years ago,” said Légère. “Our members are finding it harder and harder to make ends meet. Living from paycheck to paycheck is not sustainable,” said Légère. In addition to low wages, many sectors are also affected by staffing cuts, which have led to increased workloads for remaining staff. “The recent West Virginia teachers strike in the United States shows us all that winning big requires drastic actions. This is why we had this this conference. The conference is just the start. Mass membership meetings, membership education, mobilization and more is to be expected this year,” said Légère. When we stand united and mobilized, CUPE members have the strength to break the mandate!